Gianni Motti, Walking for Arts Sake, 2005. 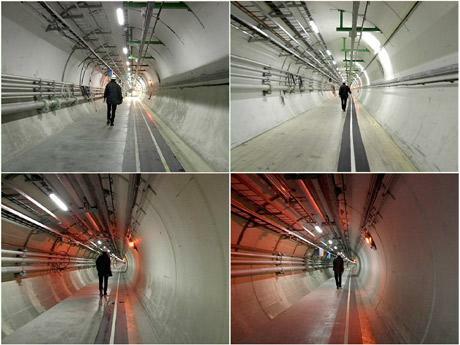 Artist Gianni Motti walks the 27 km underground ring at CERN. The excitement in the physics world about CERN’s discovery of a Higgs boson is still intense. But what is its cultural significance? I’ll start briefly with science itself, but in a historical context. The quest to understand what matter is made of is ancient. In 5BC, a philosopher called Democritus suggested that if you keep dividing an object, eventually you would come to the smallest unit of stuff that couldn’t be divided. He called this unit an “atom”. The ancient Nyaya and Vaisheshika schools in India also developed theories of atomism and how atoms combined into more complex objects. In Islamic Asharite atomism, atoms are the only perpetual, material things in existence, and all else in the world is “accidental”, meaning something that lasts for only an instant. During the 19th century, scientists discovered the atom, particularly through the work of John Dalton, but soon realised that the atom was made up from smaller particles: a nucleus of protons and neutrons with electrons around it. 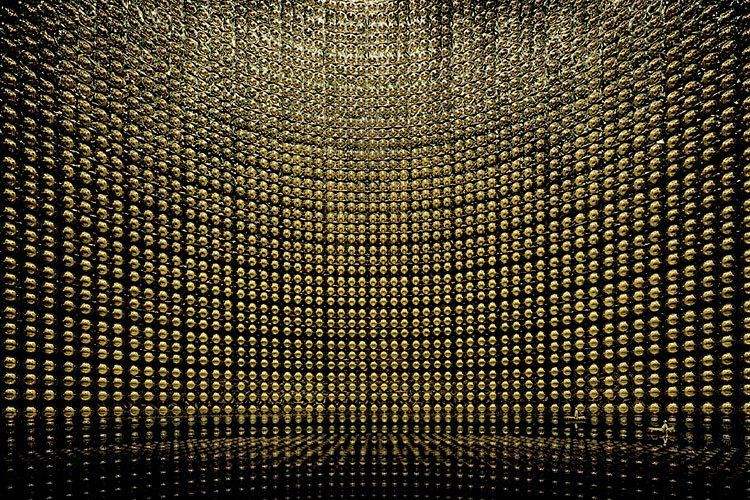 Scientists continued trying to find out what atoms were made of by smashing up protons, but instead of making things simpler, they uncovered many different sub-atomic particles, which were labeled the “particle zoo”. Many great scientists applied their minds to understanding how these particles interact with each other. During the 20th Century, scientists developed a theory to explain how all these particles behave called the standard model of quantum mechanics, an immensely powerful model which has enabled scientists to relate all the other forces of nature under a common set of equations. But the model couldn’t explain how particles acquired mass, without which the universe would fly apart. A theoretical model proposed in the 1960s by British physicist Peter Higgs, called the Higgs mechanism, explained how fundamental particles acquire mass. In Higgs’ model, as elementary particles pass through a field called a Higgs field, they acquire mass (the Higgs boson is the particle of the Higgs field). Here’s a simple explanation of the Higgs boson. The search for Higgs became the Holy Grail of physics. It has gone on for decades, in the Tetravon, Illinois, USA, and then – after the US cancelled its Superconducting Super Collider – at CERN’s Large Hadron Collider in Switzerland. Finding it finally confirms a vital part of the standard model of particle physics, and opens up fascinating new arenas for physicists to explore. There may, of course, ultimately be practical benefits from this discovery. New physics invariably leads to understanding previously unknown phenomena, and to new potential technological applications. Without the understanding enabled by quantum mechanics, for example, there would be no transistors, and hence no personal computers and no lasers (although the scientists who developed quantum mechanics weren’t trying to make anything, simply trying to understand how atoms behave). More than anything, however,for me Higgs represents a story of human curiosity, on an international scale and over a duration that has rarely – if ever – been matched. It is a remarkable expression of the human aspiration to find stuff out, which is an almost spiritual commitment by our species. And although the vastness and complexity of the universe may remind us of our insignificance, at the same time we should be astonished that we are even aware of the universe’s scale and complexity, and grateful to those physicists who have revealed some of its extraordinary workings. It is worth remembering at the same time that science cannot answer all questions, and that curiosity takes many forms. Semiconductor’s delightful film “Do You Think Science …?” (2006) reveals that many (though not all) scientists realise that their work is not designed to understand everything. There are many questions that need different forms of investigation, to which we can all contribute: Why do human beings sometimes behave so appallingly; how do we decide how they should behave; how can we deal with mental turmoil? These are questions that science cannot tackle.